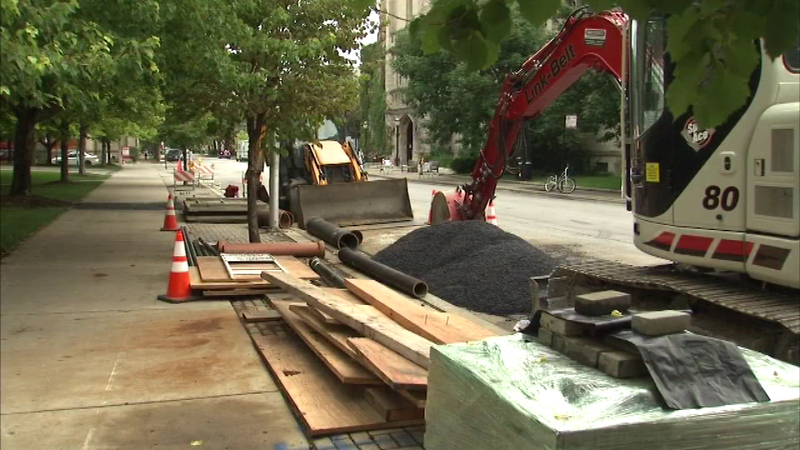 CHICAGO (WLS) -- A water boil order in effect for more than a day at the University of Chicago and surrounding area was lifted Sunday afternoon. The Water Department said the boil order was lifted at 3 p.m. Sunday. Residents should clear water lines by running both their hot and cold water. Residents with iced machines are advised to make a couple of batches and throw them away. The order covered an area from 56th Street south to 59th Street, and from Dorchester to Cottage Grove. The affected area included the University of Chicago Hospital. The problem was caused when crews installed a water main Friday in the 1100-block of East 57th Street. It was not properly flushed before being put into service.